Prairie Plants of Iowa - Dalea candida Willd. Stem: perennial; 1’ to 3’ tall; sometimes branched toward the top; smooth. 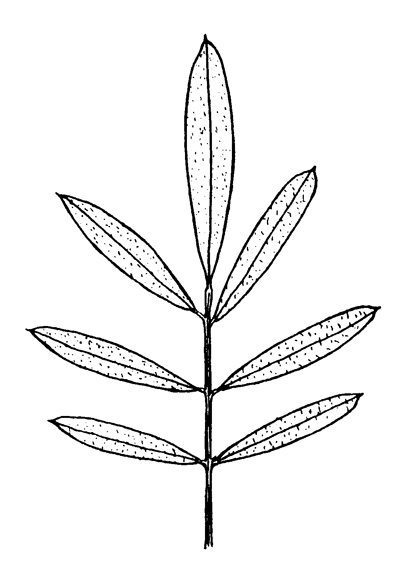 Leaves: alternate; pinnately compound, 1 5/8” by 1 1/4”; leaflets elongate-oval, three to four pairs of leaflets plus the tip leaflet; tip leaflet 5/8” by 3/16”; smooth above and below but with black dots below. Inflorescence: dense elongate heads at the stem tip and branches; head usually 1” to 1 1/2” long by 1/4” in diameter; flowering from bottom to top. Flowers: corolla white, to 1/4” long; calyx 3/32” long, with short, sharp tips, finely hairy; flowering from early July to early August; occasionally flowering into September. 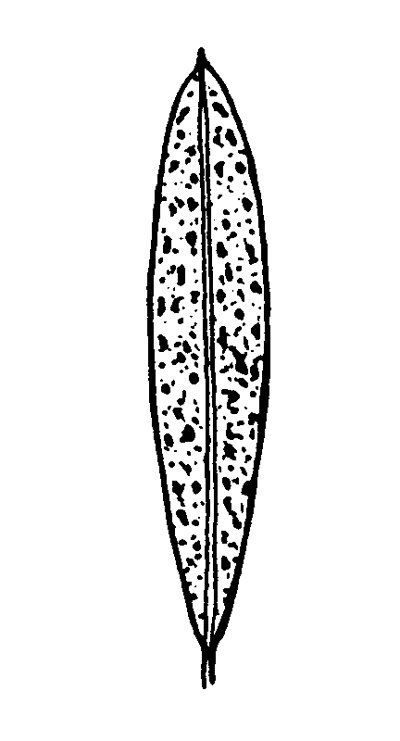 Fruits: single-seeded pod develops within the calyx; 1/16” in diameter; calyx developing black dots between each lobe; fruiting begins in mid-July. Habitat: frequent on dry to moist prairies; also on sandy prairies. 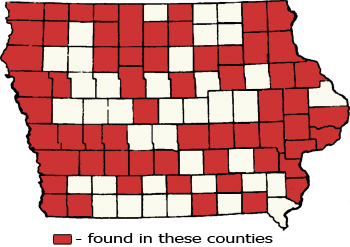 Notes: Some authorities separate a more branched, taller type found on the Loess Hills prairies of western Iowa as var. oligophylla (Torrey) Shinners (synonym - Petalostemon occidentale [Heller] Fern. ).